Sailors and crew are enduring seminars, inspections, measurements, certifications and new rating system ahead of Pacific trek. LOS ANGELES — Sailors participating in the 49th running of the biennial Transpac race – a 2,225-nautical-mile trans-Pacific race from Los Angeles to Honolulu – will welcome a new wrinkle in this year’s edition: a multihull rating system. This year’s race will rely on a new handicapping system (ORR-MH, or Offshore Racing Rule – Multihull) for multihull entries. The race runs July 3-21. Nearly five-dozen vessels from several countries – both monohull and multihull – have already registered for Transpac 2017. At least two of the entries are 100-foot vessels: Manouch Moshayedi’s Rio 100 and Ken Read’s Comanche. The downwind race’s top prize is known as “Barn Door” – a perpetual trophy offered to the fastest fleet since 1949. A vast majority of entries hail from the United States, though crews from Canada, England, Italy, Japan and Norway will also be competing. Participants include: Steve Meheen’s 63-foot Aszhou, Karl Otto Book’s 44-foot Cubaneren, John Raymont’s Andrew-40 Fast Exit, Noriyasu Kato’s 76-footer Fujicap, Giovanni Soldini’s Mod 70 Maserati, H.L. Enloe’s ORMA 60 Mighty Merloe, Lloyd Thornburg’s 70-footer Phaedo3 and Viggo Torbensen’s 41-foot Time Shaver. Transpac 2017 will use time-on-time scoring based on a wind matrix model; the race will also allow for sail stacking. Races kick off in three separate classes, with the first group trekking west July 3; the next two classes will head out July 5 and 6, respectively. Send off events will be held July 1 and 2 at Long Beach’s Rainbow Harbor. All races begin at Pt. Fermin in San Pedro; teams will trek across the Pacific Ocean until they arrive at Diamond Head in Honolulu more than two weeks later. An awards ceremony will be held at Hawai’i Yacht Club on July 21. 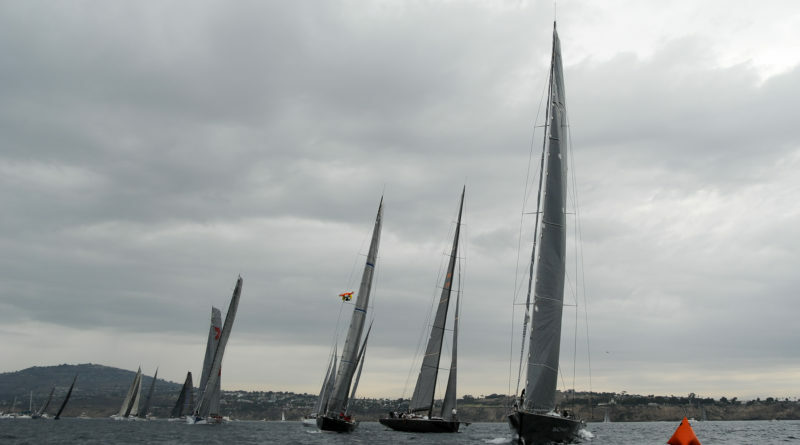 Transpac, organized by the Transpacific Yacht Club, is one of the world’s oldest races, kicking off in 1905. Wild Oats established the race’s most recent record, completing the longest days 24 hour run for a monohull in 2015 (452 nautical miles). The oldest yacht to ever compete on a Transpac was Dorade, a 52-foot sloop participating in the 2013 race. Dorade was 83 years old at the time of her entry. Goodwill was the largest yacht to ever compete; the 161-foot vessel entered Transpac in 1953 and 1959. The closest boat-for-boat finish occurred in 1955, when Kawamee defeated Marie Amelie by 4 seconds for a sixth to finish in Class B. Additional information about the race is available online at 2017.transpacyc.com/race-info. The final deadline for entries was May 30.